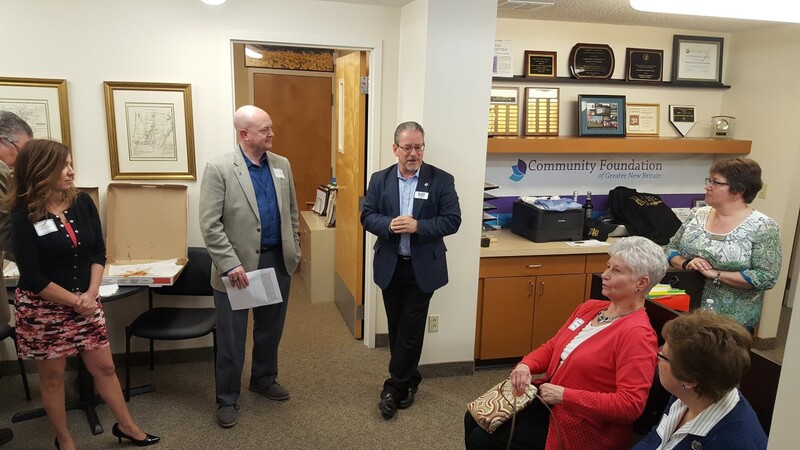 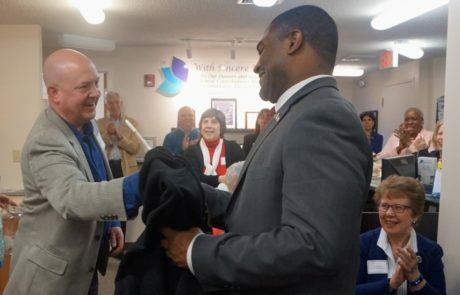 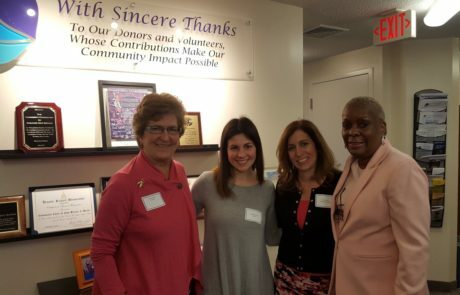 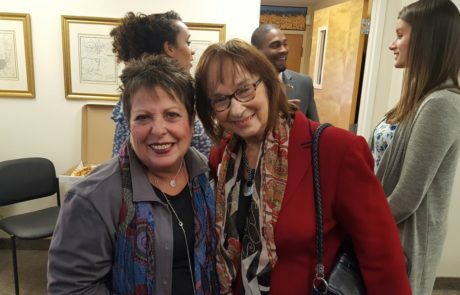 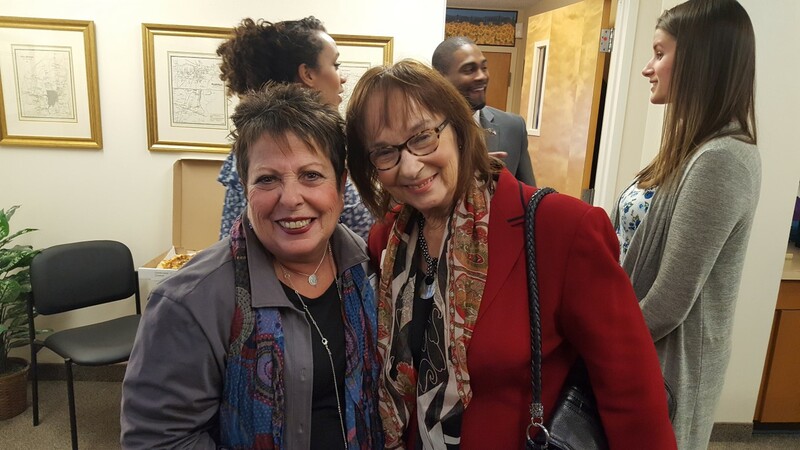 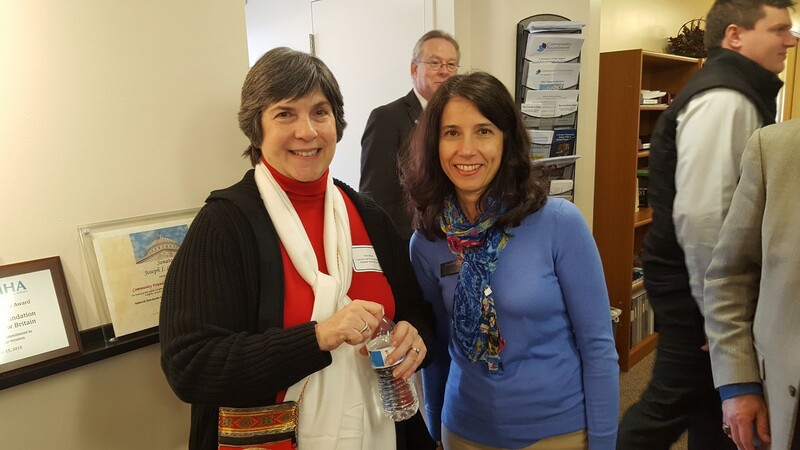 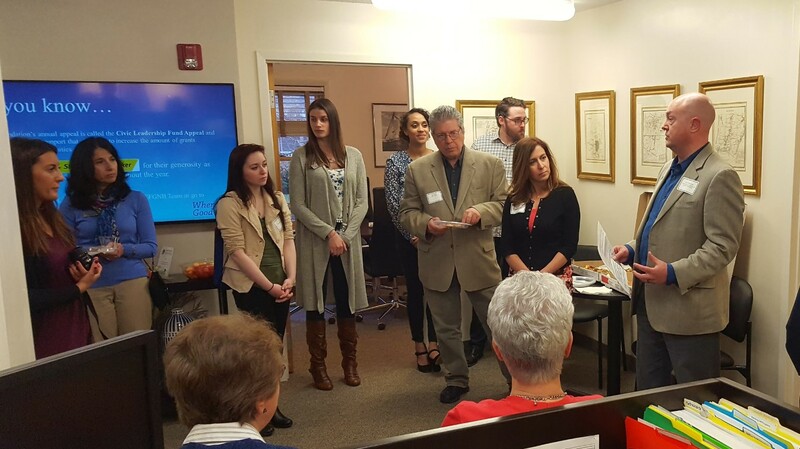 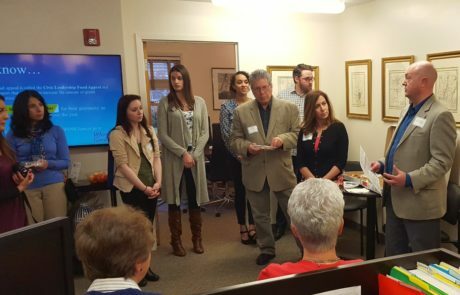 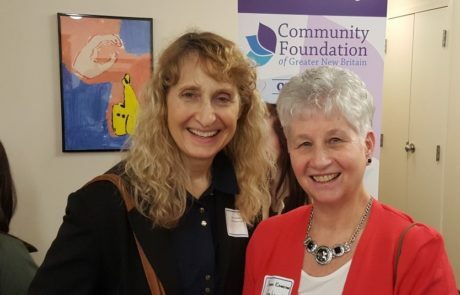 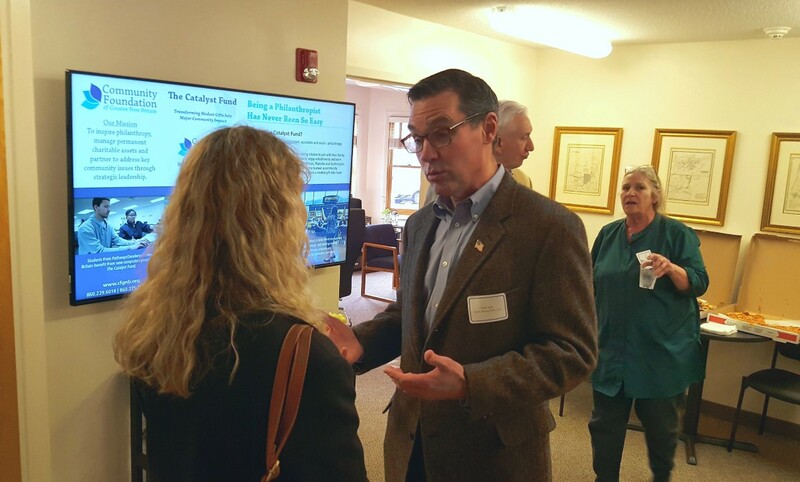 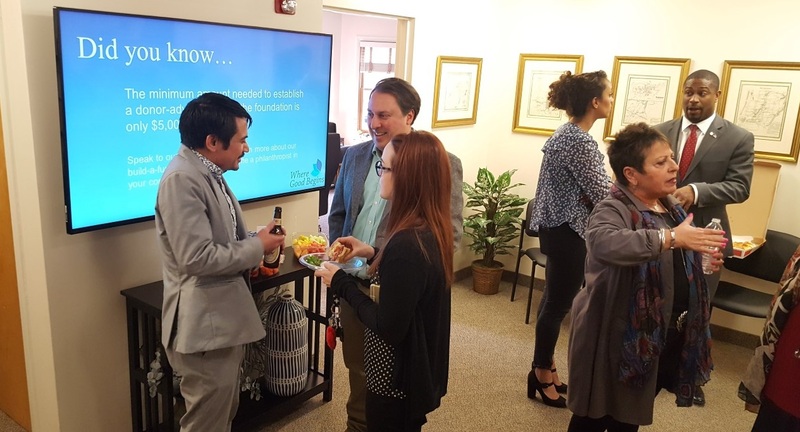 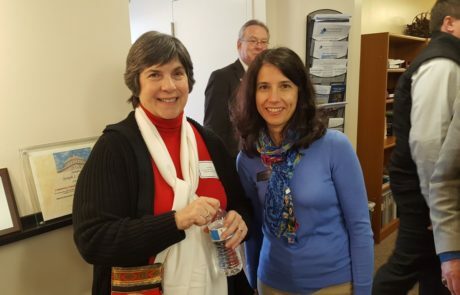 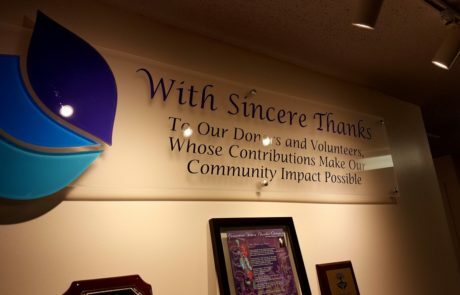 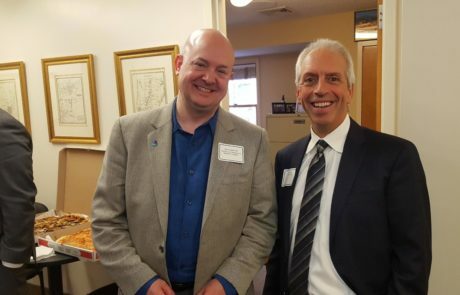 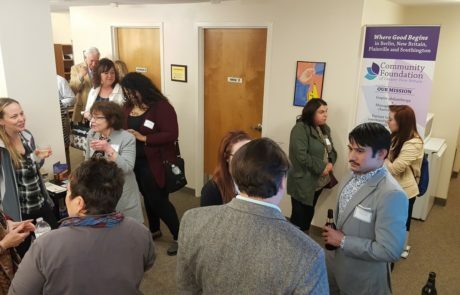 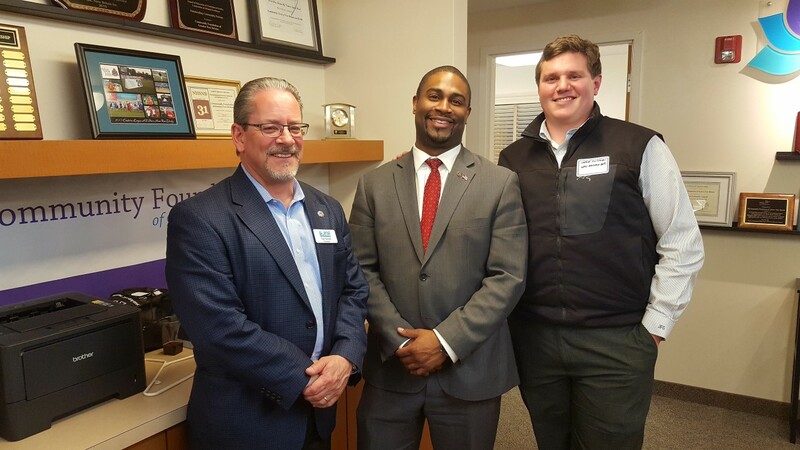 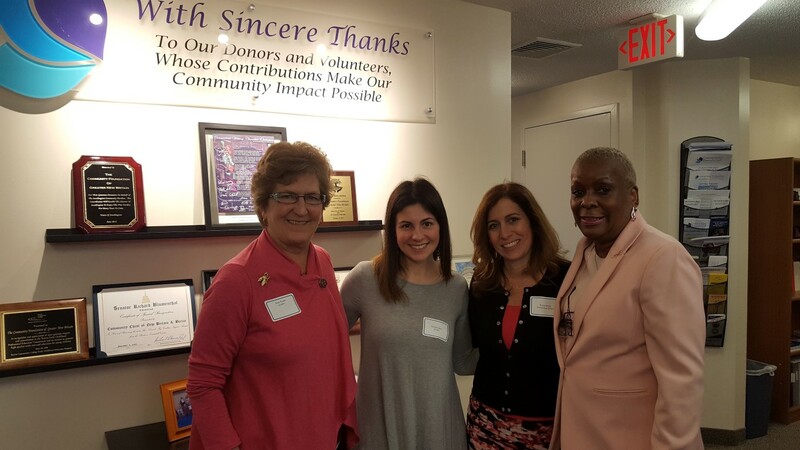 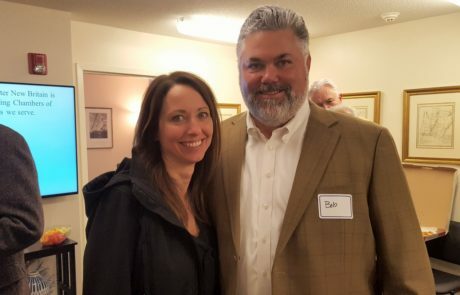 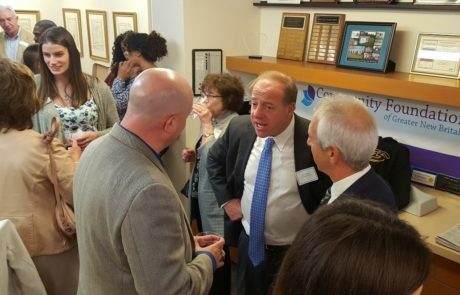 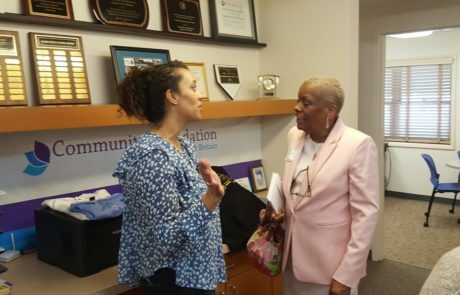 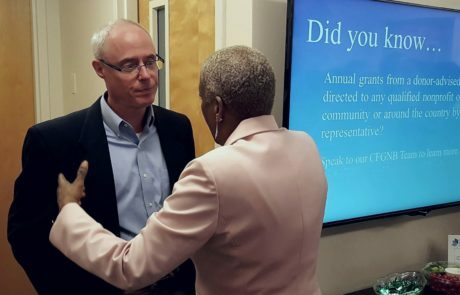 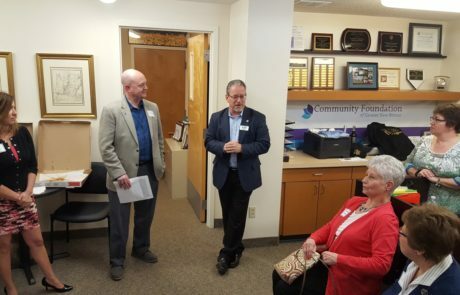 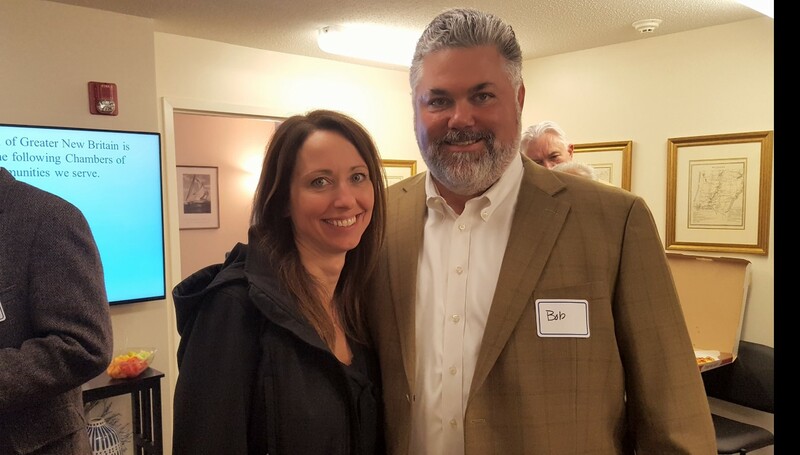 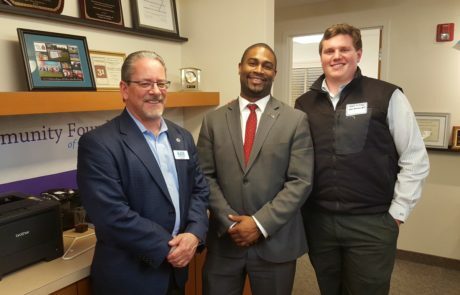 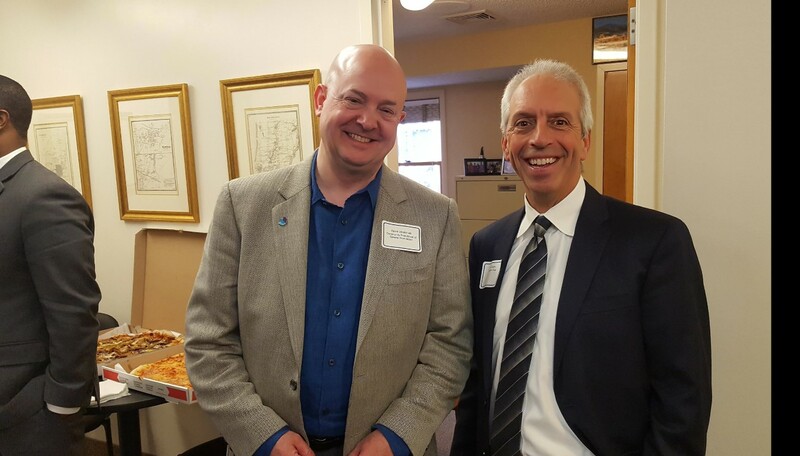 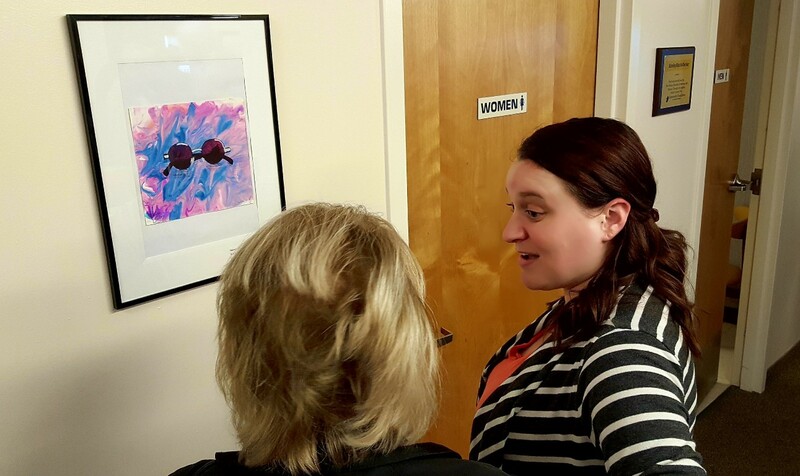 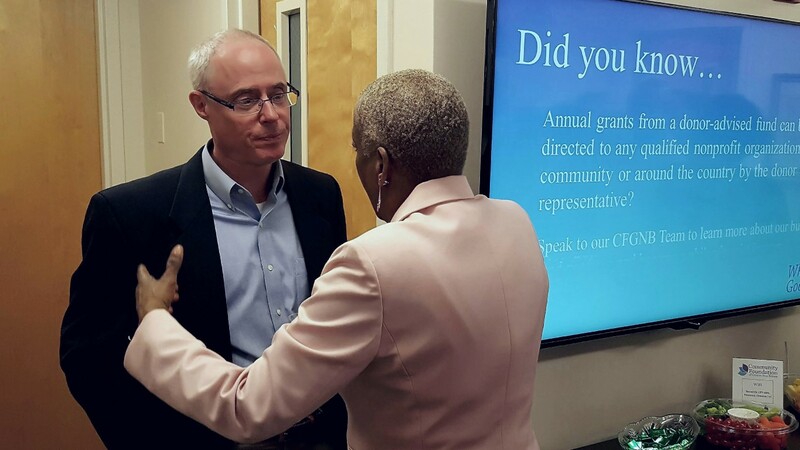 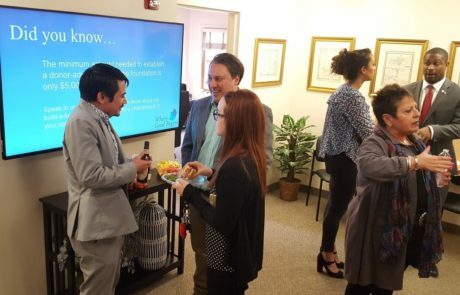 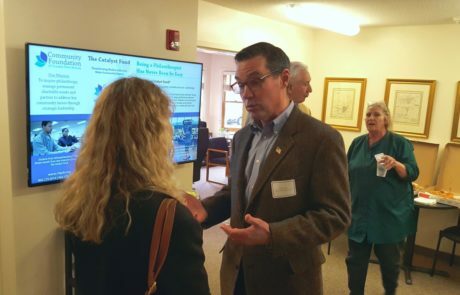 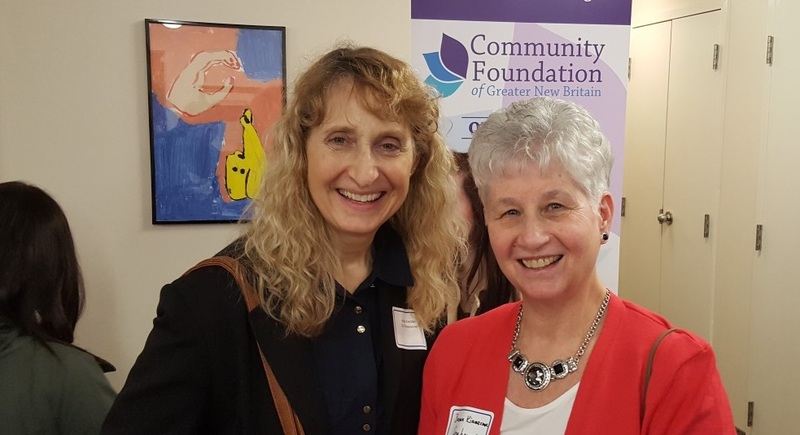 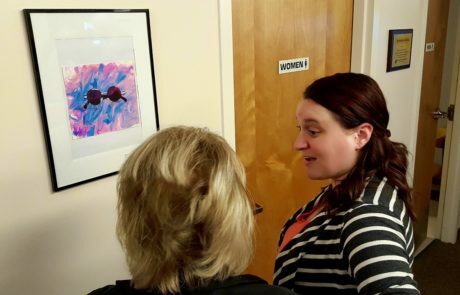 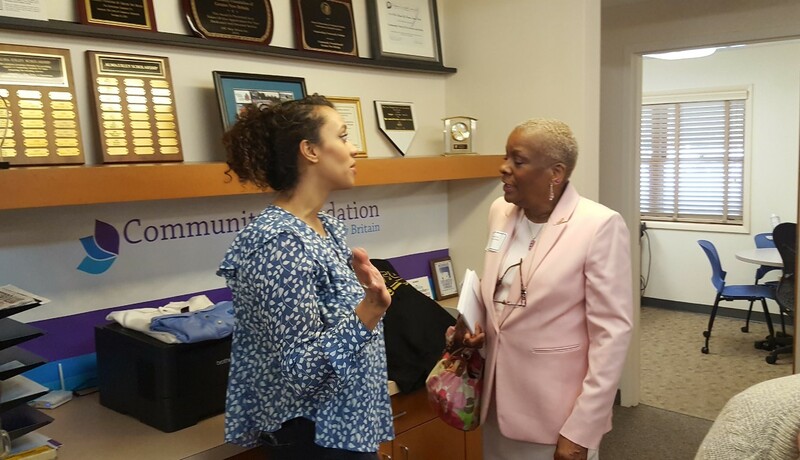 More than 50 leaders from the Greater New Britain business and non-profit communities gathered at The Foundation Center at 74A Vine Street on Thursday, April 12, 2018, to network and learn about the work of the Community Foundation at a Greater New Britain Chamber of Commerce Business After-Hours event. 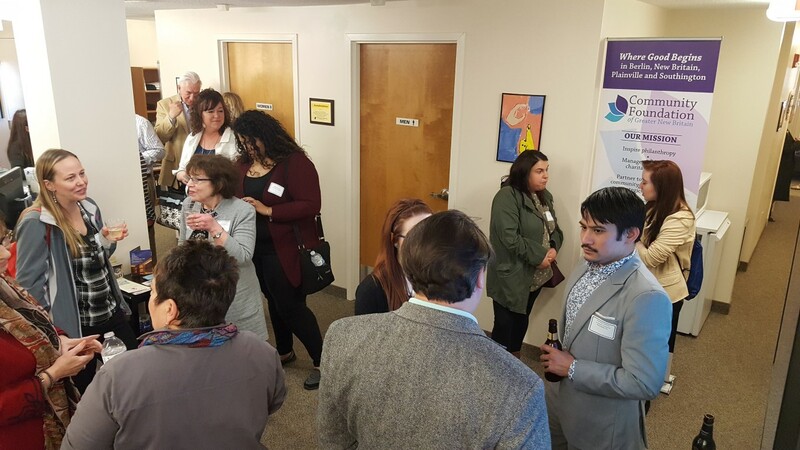 Guests mingled with Community Foundation staff and enjoyed the Foundation’s newly updated space, which includes a newly designed open layout, a student art gallery sponsored by Stanley Black & Decker, a large-format lobby video display featuring information about CFGNB programs and initiatives, and the Foundation’s new Non-Profit Resource Center designed to provide a wealth of on-line and hard copy resources at no charge to area non-profits. 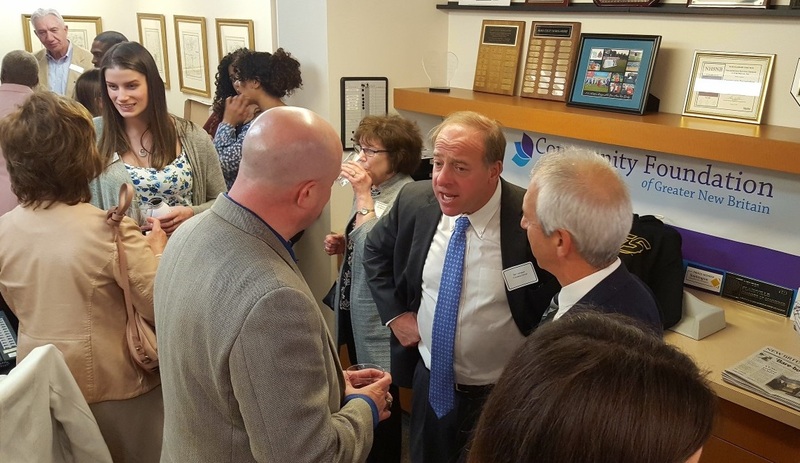 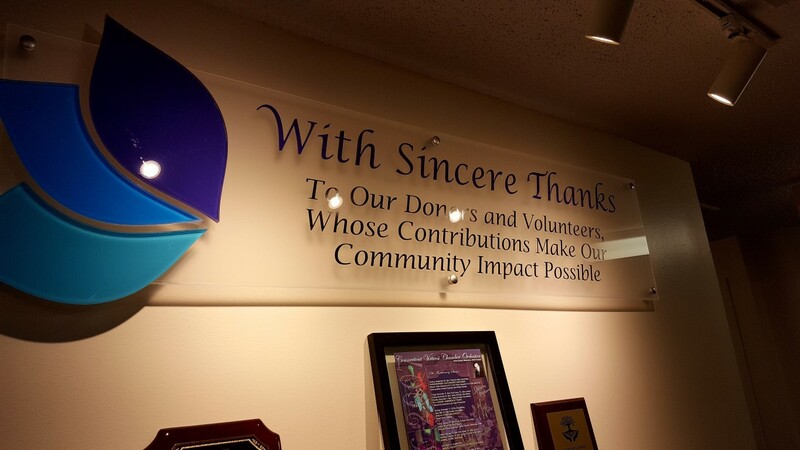 The enthusiastic gathering proved yet again that philanthropy is good business.